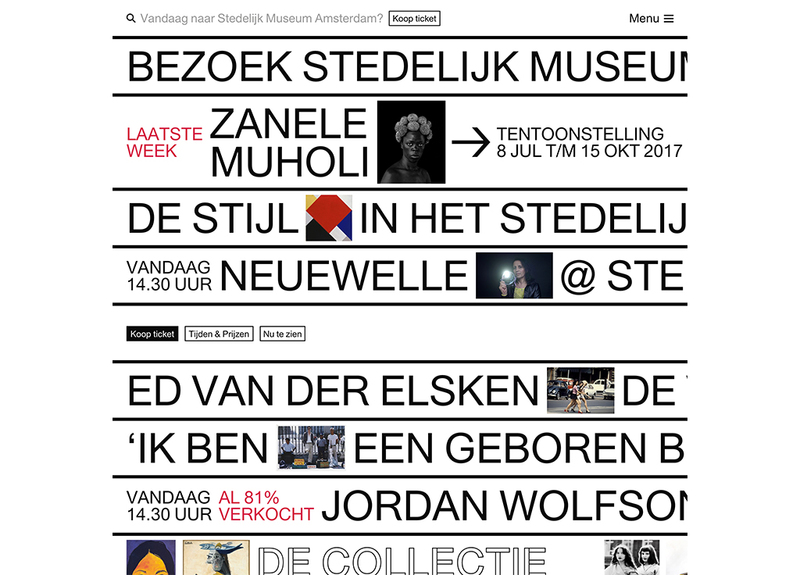 Experimental design and intuitive behaviour come together in the new Stedelijk Museum Amsterdam website. 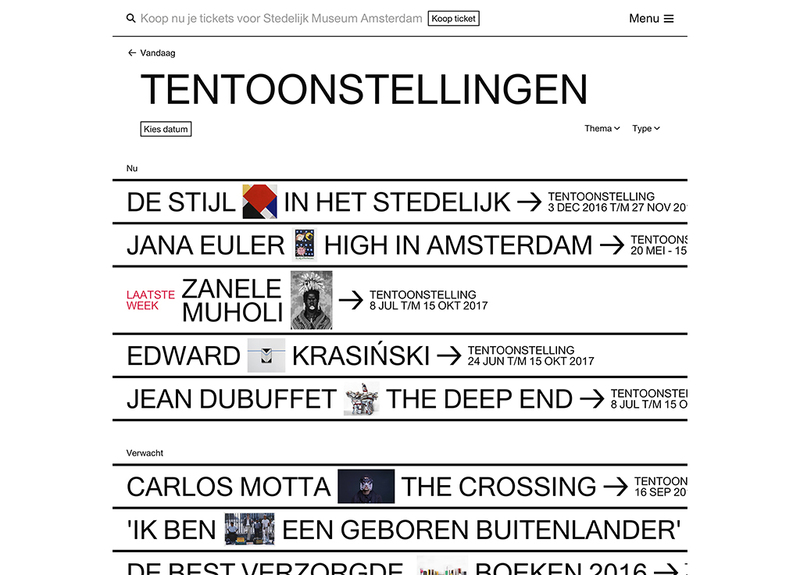 Progressive thinking and innovation are characteristics of the Stedelijk Museum, and this is reflected in the new online platform. Grrr created a new digital style, and the technology backing it, that combines intuition and friction. Designing for mobile users played a key role in the process. Many websites are digital brochures that you browse, while an increasingly mobile behavior offers opportunities for different approaches. We choose a playful presentation in which all functions are right in front of you. Because that is how your mobile operating system and chat apps work. 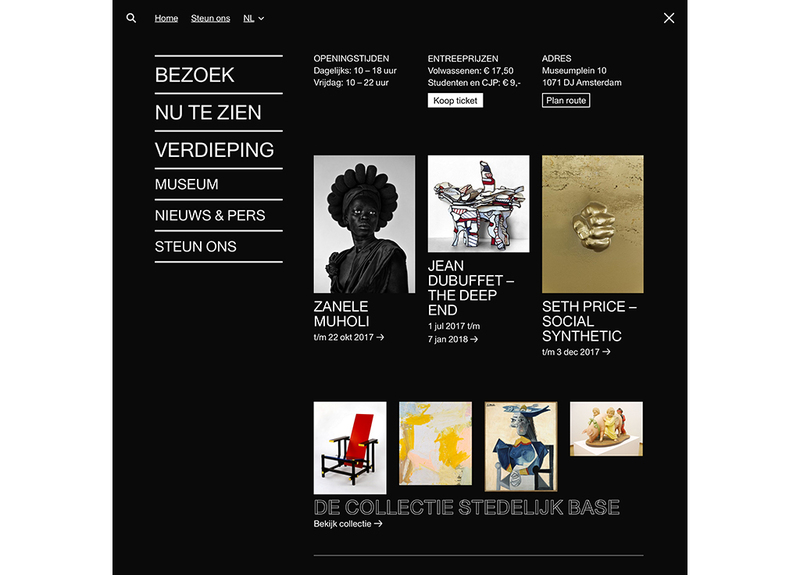 This was the base for the design of the new website of Stedelijk Museum. 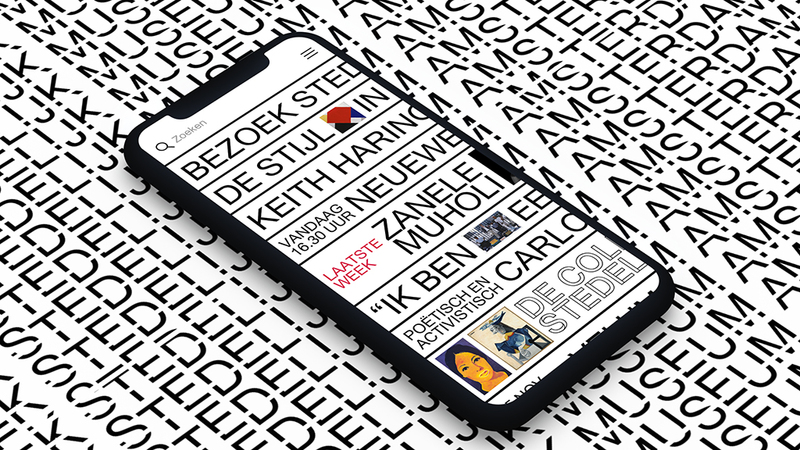 We translated the identity of Stedelijk – designed by Mevis & Van Deursen – into a digital style, without copying the printed form. Typography played a major role, as did the playful ideas behind that typography. The interactive website, in which you can swipe letters reflect that playfulness. The increase of mobile leads to a growing amount of people using the search field instead of the traditional menu. Fun detail: the search engine engages you too. Depending on where you are, you receive tips, jokes and reactions. Accessible for the blind and visually impaired. 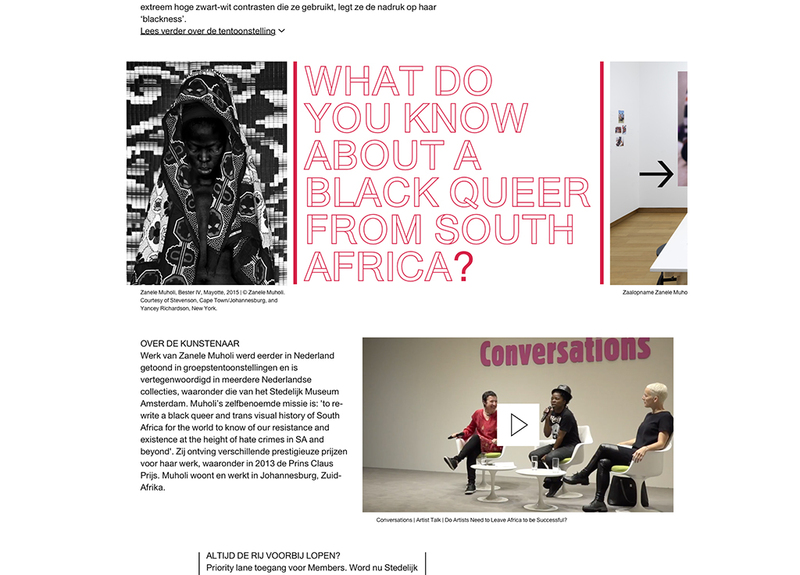 The website of Stedelijk should be usable for everyone. That is why we also thought of keyboard accessibility: you can fully navigate the website with your keyboard. 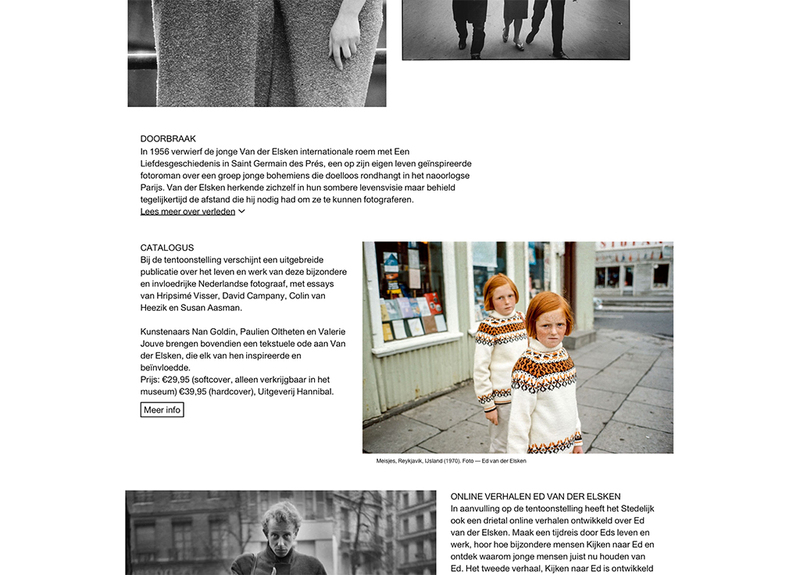 For example, the photo carousel and overlays can be navigated and operated in this manner. The (front-end) code is semantic because of the correct use of HTML5 elements and the provision of content with the right heading structure, which is important for screen readers. Aria labels and other descriptive texts have been added so the technique of Assistive Technology (such as screen readers for people with blindness or other visual impairments) can easily handle the content and provide visitors with the information they are looking for. Cool detail: areas in the museum that are not wheelchair accessible, can be seen in a 360 degree photo on the website. To make sure you do not miss out on anything as a wheelchair user.